In October 2015, Energy Innovation launched Energy Policy Solutions, an assessment of climate and energy policies to help meet decarbonization goals. To do this assessment, we built a computer model, the Energy Policy Simulator, which measures cost and emissions impacts of more than 50 policies across all sectors of the economy. 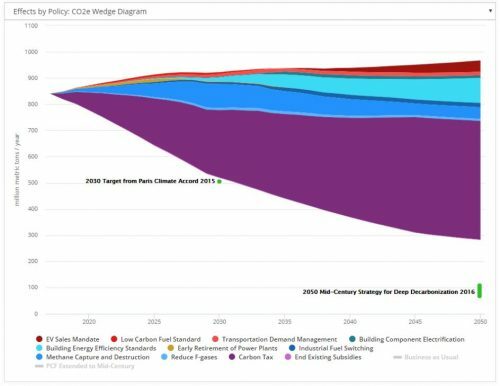 This page summarizes key results and findings from our model analysis, including recommended policy packages for meeting the U.S. 2025 emissions target and the Clean Power Plan target.